From the Talking Bull archives we look back to the summer of 2015 as Hereford supporters returned to Edgar Street. 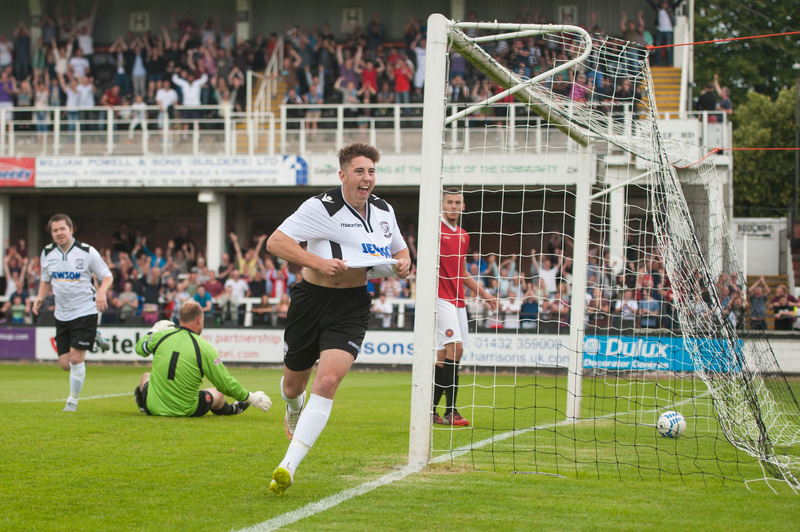 The Bulls’ opening game back at Edgar Street as Hereford FC saw FC United of Manchester as the visitors, as Simon Wright reflected in Issue 101 of the re-launched Independent Hereford Football Club Supporters’ Magazine. Virtually all Hereford supporters returning to Edgar Street’s verdant pastures last month were emotional. We have a living, breathing club back after so much struggle and the feeling was beyond easy description. For me, a minor part of the positivity that day was the choice of opposition. I couldn’t think of anybody better for such an occasion. I’ve watched FC United several times over the last couple of seasons. It is football-watching with a smile, football at its best. An FC United game is an occasion, an event, not just a bare 90 minutes of action. They have a huge range of merchandise plus a sweet stall which are run by enthusiastic volunteers. So too are the turnstiles and programme selling and everyone has a polite word or a joke to share. And the vocals – oh wow. Passionate, noisy, original particularly “Dirty Old Town”. Their extraordinary range of banners. Their match shirts deliberately have no sponsors. Admission is cheap. 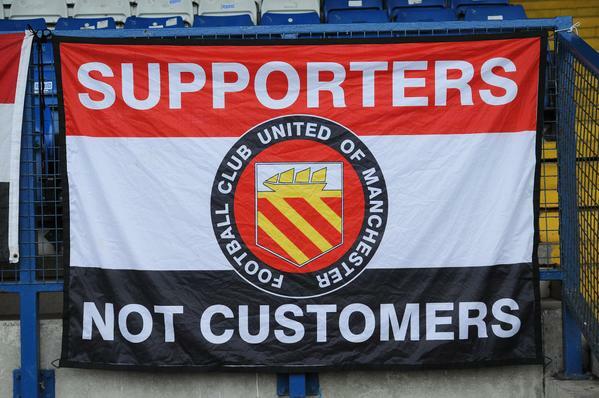 I think FC United are the most exciting club in the UK with their special aura of supporter ownership. They are the complete aspirational model for any supporter-influenced football club as our very own Ken Kinnersley discovered. I appreciate there isn’t much in common between the two clubs, though they do share a reason to be. Both United’s were formed as a result of the actions of certain individuals putting personal gain before football interests. Of course, both clubs are ambitious for higher level football. But there lies a warning. Despite a full decade of enormous support, massive goodwill and umpteen sophisticated volunteering activities which sees them dominate every League they’ve played in, FC United have only just reached Conference North. That is ten full years just to reach Step 2. There is a clear warning here to all Bulls followers. Just because for the first time in the club history, we will have the biggest support and the best ground in the League, it doesn’t automatically follow all opposition will curl up and die. There will be bumpy times ahead. Key matches lost. Promotion missed. FC United lost the Northern Premier Play-Off Final 3 years in a row with one hard luck story after another. But their supporters stuck with them, maintaining steady attendance levels. And that’s the key. Supporting Hereford FC now is easy because everything is new and exciting. But when the difficult times come again, as they will, our new club really needs supporters to hang in there. Keep buying season tickets, keep volunteering because that is the only way to keep moving forward. Football clubs are not just for August.